2009 June « CASE CLOSED … what really happened in the 2001 anthrax attacks? Let me repeat that I, along with the many readers and contributors to the CASE CLOSED blog, truly appreciate that the National Academy of Sciences (NAS) has undertaken the difficult task of reviewing scientific approaches and conclusions of the FBI investigation of the 2001 anthrax attacks. In addition to procedural questions related to this review already submitted, there are scientific questions presented below, also submitted, as were the procedural questions, by contributors to the CASE CLOSED blog. We understand that the list is long and that the study team has yet to be formulated, so we are surely not expecting a speedy response. However, we hope that you will distribute these questions to the study team as it comes into being, and that serious consideration will be given to answering each of these questions as your study proceeds. 1. Will the NAS study team evaluate the scientific basis for the FBI’s explanation that the White House staff was taking the anthrax drug Ciprofloxacin prior to the anthrax mailings? 2. Will the NAS study team comment on aspects of the FBI investigation if it is deemed that the investigative methods clearly impacted the scientific analysis? 3. Will the NAS study team provide definitive documentation regarding the science and methodology that allowed the FBI to exclude as suspects the perhaps 100 to 300 other scientists (other than Dr. Ivins) who had isolates from flask 1029? 4. Will the NAS study team be obtaining and evaluating the internal laboratory reports written by the Armed Forces Institute of Pathology (AFIP) on the SEM and EDX analysis of the Daschle and New York Post powders? 5. Will the NAS study team be limited to sources of scientific data provided by the FBI or will the NAS study team have unlimited access to whatever scientific data it deems necessary to perform its tasks? 6b. particles of said anthrax milled down (by some method) to the size of one or two spores? 7. Will the NAS study team verify whether anthrax spores in the 2001 mailings were treated post-production to make them more friable? 9. Will the NAS study team evaluate if it was feasible for mail sorting machines to have assisted in the pulverization and aerosolization of the BA spores in the postal facility? 10. Will the NAS study team seek to provide sufficient proof of its independent investigation of these scientific issues to dispel an understandable skepticism that it is an inherent conflict of interest for NAS to be taking money from the FBI, the very agency whose science is being evaluated, rather than being directly funded by the Congress? 11. Will the NAS study team permit any scientists employed at Battelle-managed labs to be part of the project team? Would such participation constitute a conflict of interest under NAS policy? 12. Will the NAS study team determine if b. subtilis genetically identical to the contaminant present in the letters mailed to New York was also isolated from the AMI building in Florida? 13. Will the NAS study team consider and scientifically evaluate hypotheses other than those which comprise the “official” theory of the FBI? 14. Will the NAS study team evaluate the scientific methods used by the FBI to reach their stated conclusion that the powder sent to Senators Daschle, Leahy and other recipients contained no special additives and was not weaponized? 14a. did the FBI use accepted scientific method to reach that conclusion? 14b. if the FBI prepared a powder of anthrax or anthrax simulant that acted the same as the powder in the Hart building? 14c. if, in reaching its conclusion, did the FBI used equipment similar to what was available to their suspect Dr Bruce Ivins inside Fort Detrick where they claim the powder was manufactured? 15. Will the NAS study team determine whether, if the FBI did prepare a powder or powder stimulant in this simple manner, it also re-aerosolize (in other words after initially falling on surfaces, then formed a secondary aerosol) under common office activities? (ref. Secondary Aerosolization of Viable Bacillus anthracis Spores in a Contaminated US Senate Office. Christopher P. Weis, PhD; Anthony J. Intrepido, MS, CIH; Aubrey K. Miller, MD, MPH; Patricia G. Cowin, MS, CIH; Mark A. Durno, BS; Joan S. Gebhardt, PhD; Robert Bull, PhD; JAMA. 2002;288:2853-2858; http://jama.ama-assn.org/cgi/content/abstract/288/22/2853). 16. Will the NAS study team determine if more than 80% of the B anthracis particles collected on stationary monitors fell within an alveolar respirable size range of 0.95 to 3.5 µm? (ref. Secondary Aerosolization of Viable Bacillus anthracis Spores in a Contaminated US Senate Office. Christopher P. Weis, PhD; Anthony J. Intrepido, MS, CIH; Aubrey K. Miller, MD, MPH; Patricia G. Cowin, MS, CIH; Mark A. Durno, BS; Joan S. Gebhardt, PhD; Robert Bull, PhD; JAMA. 2002;288:2853-2858; http://jama.ama-assn.org/cgi/content/abstract/288/22/2853). 17. 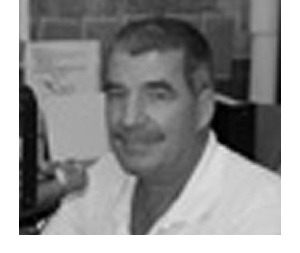 Will the NAS study team determine if the amounts of silica detected by the Armed Forces Institute of Pathology (AFIP) in their analysis of both SEMs and EDX spectra of the Daschle and New York Post powders (AFIP detected the elements silicon and oxygen in both powders; their reports show that there was more than one order of magnitude more silica in the New York Post powder compared with the Daschle powder) can be explained as being “naturally occurring” as the FBI claim? 18. Will the NAS study team determine if either the FBI or Sandia correctly concluded that the silica found in the spores sent to senators Daschle and Leahy could have been added as a molecular monomer rather than as already formed solid fumed silica nanoparticles? The FBI and Sandia national labs announced last year that the silica found in the spores sent to senators Daschle and Leahy consisted of a continuous coating of a phase of SiOx underneath the exosporium. Since this was underneath the exosporium they concluded that the spores were not “weaponized” – since weaponization usually involves forming a coating of fumed silica nanoparticles (silica particles with individual particles in the size range 10-50nm) which is located OUTSIDE the exosporium. 19. Will the NAS study team determine if the FBI attempted and/or succeeded in re-creating the silicon signature found in the Daschle, Leahy and New York Post powders? More specifically, was the FBI able to recreate the identical continuous phase of SiOx under the exosporium? Was the quantity of SiOx the same or similar? What form of silicon was added to the spores if they did try to do this? Was it added during spore preparation or after spore preparation? 20. Will NAS determine if and how the FBI ruled out that the spores were treated with a monomer of a siloxane compound (for example Dimethyldichlorosilane (trade name Repelcote)) that penetrated the exosporium in its monomer form and then polymerized on the spore coat in situ? When Dimethyldichlorosilane polymerizes it loses HCl and forms a polymer of SiOx. ( A 1961 study shows that even large molecules can penetrate the highly porous exosporium (ref. Gerhardt, P. & Black, S. H. . J. Bact. 82, 750–759 (1961)). 21. Will the NAS study team determine if the FBI attempted and/or succeeded with reverse engineering with polymerized glass techniques as described above? 22. 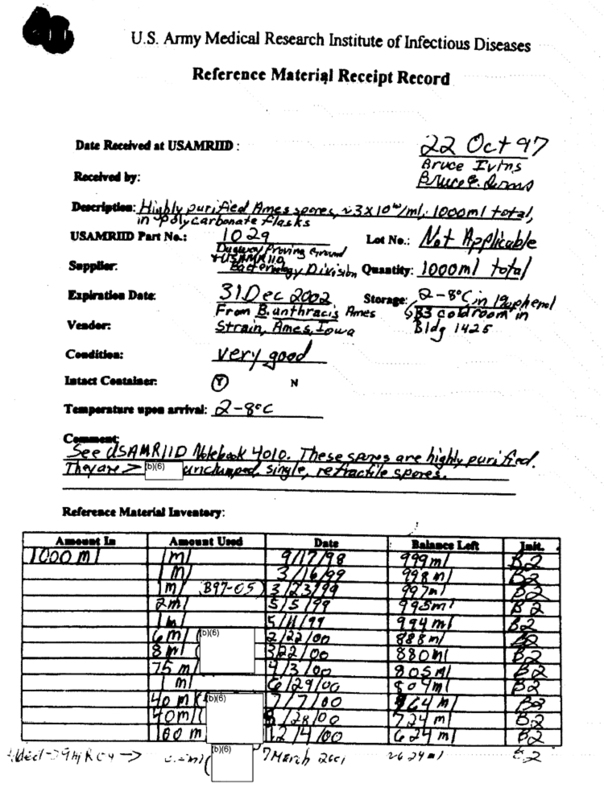 Will the NAS study team evaluate the reported FBI results which indicated (a) that the spore powder on the Leahy letter contained 14,479 ppm of silicon (1.4%), (b) that the spore powder on the New York Post letter was found to have silicon present in the sample; however, due to the limited amount of material, a reliable quantitative measurement was not possible, and (c) that insufficient quantities of spore powder on both the Daschle and Brokaw letters precluded analysis of those samples? 23. Will the NAS study team determine if the FBI used Inductively Coupled Plasma (ICP) spectroscopy to obtain the result of 14,479 ppm of silicon in the Leahy powder? How much sample was needed for this in total? Was the sample dissolved in solution first using standard ICP protocols? How much of the solution was used to introduce into the ICP nebulizer? Were standards used for calibration per normal ICP protocol? 24. Will the NAS study team determine if, when the FBI in their April 17, 2009 response above stated that the New York Post sample also contained silicon, that this was or was not an ICP result? How much total sample was used? Was the sample prepared in solution first? How much solution was placed in the ICP nebulizer? What were the results that the FBI stated were unreliable? 25. Will the NAS study team draw its own conclusion as to whether the quantitative silicon result for the New York Post powder is unreliable? 26. Will the NAS study team determine if the FBI science labs used accepted scientific methods to demonstrate that it was possible to manufacture 5-10g of anthrax powder in the time frame of 12-24 hours total work performed over a period of 2-3 weeks as they claim Dr. Bruce Ivins did at Fort Detrick? 27. Will the NAS study team determine how many runs would be needed in 3 litre preparation flasks? How many spores per ml of liquid in each flask? How much centrifugation would be needed to concentrate the powder to one trillion spores per gram? And whether the material could have been dried using only the equipment available at Detrick? 28. Will the NAS study team determine if the FBI performed these runs in order to scientifically prove their theories are sound? 29a. Will NAS determine why the authors of this paper chose to simulate the envelope containing the Daschle powder being opened in the Hart building by using a powder especially prepared for aerosolization instead of simply drying without any special equipment as the FBI claim? 30. Will the NAS study team determine, if Detrick did not have the equipment used in the Dugway/CDC report, what basis there was (or not) for the FBI theory that a product like the Daschle or Leahy powders could be made without this equipment? 31. Will the NAS study team determine if the FBI demonstrated that they could make an identical product without such equipment that yielded powder particles that formed secondary aerosols as was shown by the EPA to take place in the Hart building? 32. Will the NAS study team determine the significance of the Sandia report that, out of 200 samples they tested for the FBI, none matched the silicon signature of the mailed spores? 33. Will the NAS study team seek independent information regarding the silica content of the New York Post powder from AFIP, since the FBI refused to share that information with Sandia? 34. Will the NAS study team evaluate the significance of the WMD Chief’s admission, under the DARPA-funded cutting edge patent, that there would be large amounts of silica that then were removed from the surface through repeated centrifugation or an air chamber, which would lead one to expect trillion spore concentration and large amounts of silica absorbed in the coat and in debris in the first batch and then pure spores in the second batch after repeated centrifugation. 35. Will the NAS study team determine if the 1070 samples examined by the morphotype analysis accurately reflects the actual number of anthrax samples held in the U.S. in the 2001 timeframe? 36. Will the NAS study team evaluate whether the process of self-submission of anthrax samples by labs and individuals (per the FBI methodology) was a reliable representation of the Ames samples that may or may not have existed prior to 2001? 37. Will the NAS study team determine the ancesteral linkage between RMR1029 and the tested samples that were positive for 2 of 4 or 3 of 4 of the morphotype markers? 38. Will the NAS study team report on the expected links between labs that contributed precursor spore preps that were used to make RMR1029? 39. Will the NAS study team determine why there is a discrepancy between the number of labs known to have samples of RMR1029 prior to September 2001 and the two labs reported to test positive for RMR1029 by the testing methodology? 40. Will the NAS study team determine why the FBI did not use the labs known to have RMR1029 plus some self-generated samples of RMR1029 as an external proficiency test of their contract labs? 41. Will the NAS study team determine if the FBI used any type of proficiency testing for their genetic analysis? 42. Will the NAS study team evaluate the statistical probability of finding 4 positive morphotypes in any Ames sample, in any of the 32 or so precursor Ames strains that made up RMR1029, or in repeat analysis of RMR1029 itself? 43. Will the NAS study team determine the probability of losing one or more of the morphotypes from progeny/descendent samples derived from RMR1029? The number of generations occurring before the sample becomes negative equals 3 or fewer morphs according to the FBI. 44. Will the NAS study team determine and report on the precision, accuracy, linearity, sensitivity, specificity, reproducibility, and upper and lower limits of quantitation data values for the four morph assays? Will the NAS study team determine if the FBI validated parallelism, robustness and ruggedness of the assays? 45. Will the NAS study team determine the reasonableness of the claim by the FBIs subcontractors that they had no issues with cross contamination and false positives with the morph analyses, and indicate if such a claim was substantiated by any data? 46. Will the NAS study team determine if the B. subtilis contaminant found in the first batch of letters was genetically identical to any forensic evidence collected from any lab? 47. Will the NAS study team determine if the B. subtilis contaminant found in the first batch of letters was tested against strains from Dugway proving grounds? 48. Will the NAS study team determine if the FBI’s scientific analysis of the silicon content was sufficient to support their claim that exognenous silicon was not added? In particular, Will the NAS study team determine if the FBI performed titration experiments to show that their analysis was sufficiently sensitive to detect added silcon compounds? 49. Will the NAS study team determine if the FBI’s conclusion of “no added silicon” is supported by scientific evidence? 50. Will the NAS study team determine what analyses were completed to substantiate the FBI claim that none of the spore preps were milled or otherwise processed? 51. Will the NAS study team determine what data was used to substantiate the claim that mail sorting equipment imparted physical characteristics to the spore preps? 52. Will the NAS study team determine, given that both sets of letters were handled by mail sorting equipment, why is there such a discrepancy between their physical states (factors other than purity and concentration)? 53. Will the NAS study team evaluate the FBI “theory” that Ottillie Lundgren and Kathy Nguyen died from “cross contamination,” and, if so, why there were not many more casualties along the east coast from such “cross contamination”? 54. Will the NAS study team determine if the same genotype of subtilis was discovered in each of the hundreds of swab samples taken from the AMI building by the FBI during 2 visits to this building? 55. 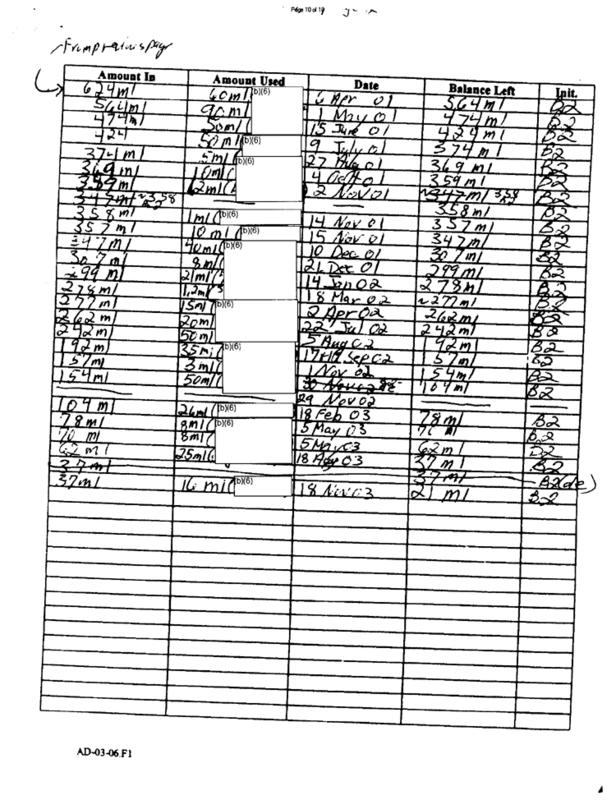 Will the NAS study team determine if any of the swab samples taken from the New York Post (NYP) building and other contaminated buildings associated with the NYP powder and NBC powder showed the presence of the subtilis genotype found in the raw powders? 56. Will the NAS study team evaluate the implications of the following scenario: (a) if subtilis was found in swab samples from the NYP and NBC buildings but not the AMI building, is it reasonable to conclude that the powder sent to the AMI building (the envelope for which was not recovered) did not contain the subtilis genotype? (b) if this is the case, does this cast doubt on the FBI theory that only 2 batches of anthrax powder were prepared from RMR-1029 by the perpetrator(s)? (c) If only 2 batches were prepared, does this suggest a different timeline for the production than the FBI theory that the powder sent to AMI must have been the same batch as the Daschle/Leahy powder, which, according to the FBI theory, was manufactured after the media powders had been sent? 57. Will the NAS study team determine if hydrophobicity testing of the Leahy and/or Daschle powder was undertaken? This can be performed using a simple phase transfer test where a small sample of powder is shaken in a tube containing water and a non-polar solven such as hexane – the test measures what fraction of the powder sample goes in to the water phase. 57a. If this test was performed what was the degree of hydrophobicity of the Daschle and/or Leahy powder? 57b. If the degree of hydrophobicity was close to 100% what is the theory behind this? 57c. Could a coating of hydrophobic polymerized glass on the spore coat underneath the exosporium in a dry powder (where the exosprorium will have collapsed) cause the spores to be unusually hydrophobic? 57d. Would this also enhance the powder’s ability to form an aerosol since it will inhibit clumping of spores due to water-bridging phenomenon? 58. Will the NAS study team evaluate the origin of the tin detected in letters to the New York Post and to Senators Daschle and Leahy, and perhaps in other letters as well? 59. Will the NAS study team evaluate the significance of absence of fiber evidence? 60. Will the NAS study team the validity of printing defects on the envelopes as establishing where the envelopes were purchased? Q: To which labs did Dr. Ivins ship the virulent Ames strains? A: We obtained our Ames material from Porton, UK, labelled Asc 159. It had been in their collection for over 10 years. Q: In which labs was research with the Ivins supplied anthrax done? Q: Was any sample supplied by Bruce Ivins still in existence at the time of the later subpoenas of Louisiana State University and University of Michigan? Q: Who would have provided an isolate of that sample in response to any subpoena during the mid-October 2001 to February 2002 period? A: Copies of the cultures requested in that subpoena were provided to the investigators. * what BL-3 lab did Abdur Rauf visit? what BL-3 lab did Abdur Rauf visit? 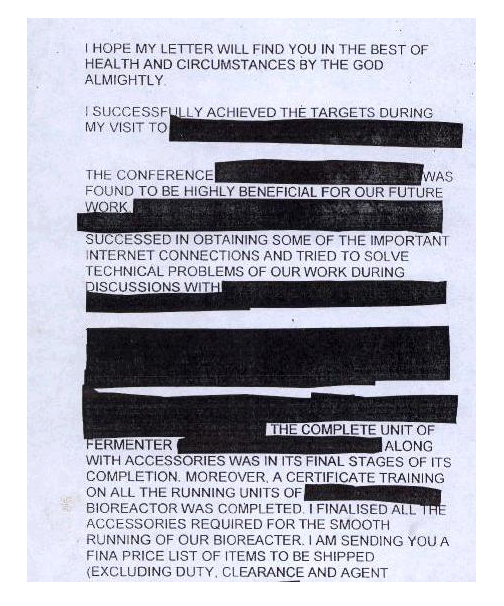 The Defense Intelligence Agency (DIA) gave DXer a copy of the correspondence between the scientist helping Ayman Zawahiri infiltrate western biodefense along with 100+ pages of documents seized in Afghanistan. Abdur Rauf … was the subject of a 2006 article by Joby Warrick in the Washington Post, titled Suspect and A Setback In Al-Qaeda Anthrax Case … Scientist With Ties To Group Goes Free. In December 2001, as the investigation into the U.S. anthrax attacks was gathering steam, coalition soldiers in Afghanistan uncovered what appeared to be an important clue: a trail of documents chronicling an attempt by al-Qaeda to create its own anthrax weapon. The documents told of a singular mission by a scientist named Abdur Rauf, an obscure, middle-aged Pakistani with alleged al-Qaeda sympathies and an advanced degree in microbiology. Using his membership in a prestigious scientific organization to gain access, Rauf traveled through Europe on a quest, officials say, to obtain both anthrax spores and the equipment needed to turn them into highly lethal biological weapons. 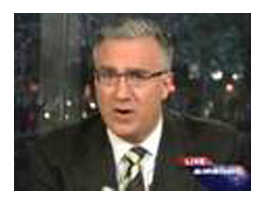 He reported directly to al-Qaeda’s No. 2 commander, Ayman al-Zawahiri, and in one document he appeared to signal a breakthrough. 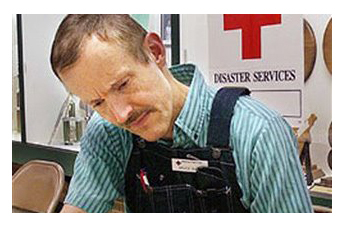 “I successfully achieved the targets,” he wrote cryptically to Zawahiri in a note in 1999. Precisely what Rauf achieved may never be known with certainty. That’s because U.S. officials remain stymied in their nearly five-year quest to bring charges against a man who they say admitted serving as a top consultant to al-Qaeda on anthrax. With the evidence against Rauf, some U.S. officials say they are perplexed about why Pakistani authorities have refused to further pursue him, while acknowledging that the case presents both legal and political difficulties for Pakistan. The heavily redacted notes and other documents were obtained from the Defense Department through the Freedom of Information Act after they were first described in the journal Science in a 2003 article by three researchers at the National Defense University. Rauf’s name was redacted, but U.S. and Pakistani officials confirmed his authorship in interviews with The Washington Post. Rauf’s detention kicked off a joint U.S.-Pakistani investigation that at first was remarkably successful. The FBI’s New York office took the lead U.S. role, and its agents worked closely with the CIA and bureau officials in Pakistan in carrying out interrogations. Though not formally charged with any crimes, Rauf consented to questioning and provided useful leads, U.S. and Pakistani officials said. But problems began when the U.S. side sought to expand the investigation with the goal of pursuing criminal charges, including possible indictment and prosecution in the United States, officials from both countries confirmed. In earlier cases, the Pakistani government incurred the wrath of Islamic leaders when it sought to prosecute professionals for alleged ties to al-Qaeda. In 2003, the Pakistanis shut off U.S. access to Rauf. According to Pakistani officials familiar with the case, there simply was not enough evidence showing that he succeeded in providing al-Qaeda with something useful. Since then, Rauf has been allowed to resume his normal life. and at LSU under the direction of Dr. Hugh Jones. I apologize if the citation was confusing. You may wonder why I am asking these questions. Who am I, and what right do I have to bother you so many years after these events took place? 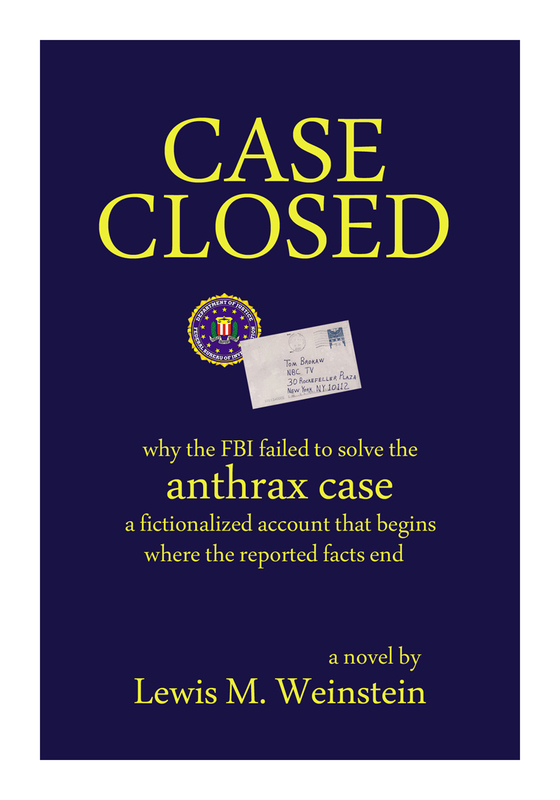 I am a novelist, the author of CASE CLOSED, which presents a fictional scenario to explain why the FBI failed to solve the anthrax case. I started the CASE CLOSED blog to promote the novel, but it has taken on a life of its own as a forum for those who don’t believe the FBI’s accusation of Dr. Ivins (and a few who do) to present and argue their positions. This has stimulated me to continue to seek answers. The FBI’s case simply does not wash. Why? The central problem is that the FBI accused Dr. Ivins, claiming he is the sole perpetrator of the 2001 anthrax attacks, without ever proving its case. It is very convenient to the FBI to have charged a dead man, eight days after his alleged suicide, since this means they never have to go into court and actually prove their case. The FBI has ever since their announcement refused to answer questions, even those from Congressmen and Senators. Many people, including scientists, journalists, Congressmen and Senators, have publicly expressed their doubts about the FBI’s conclusions. The FBI has presented no witnesses and no physical evidence to support its case against Dr. Ivins. More pertinent to the questions included here is that the FBI has never explained how it excluded other research labs as potential sources of the attack anthrax. It is the intent of the CASE CLOSED blog to track down, to the extent possible, and to eliminate, to the extent possible, other potential sources of RMR-1029 anthrax which might have been diverted and modified for use in the 2001 attacks. So … if you have answers to any of the questions above, I look forward to your responses. Please call upon me if I can be of any further assistance. do you want Congressman Holt’s Anthrax Commission to happen? 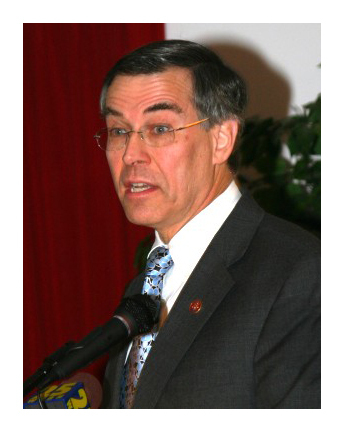 On March 3, 2009, Congressman Rush Holt (D-NJ http://holt.house.gov/), whose district included the Hamilton Post Office which was infested with anthrax and subsequently closed for nearly three and a half years, introduced the Anthrax Attacks Investigation Act of 2009, legislation that would establish a Congressional commission to investigate the 2001 anthrax attacks and the federal government’s response and investigation of the attacks. The Anthrax Attacks Investigation Act of 2009 was referred to the House Committee on the Judiciary, where it remains today. The House Judiciary Committee is a busy place; there are hundreds of bills competing for attention. What can those of us who want this Anthrax Commission to happen do? … It is a fact of political life that Congressmen respond to people who live in their districts; most Members of Congress will not even accept emails from people who don’t live in their district. 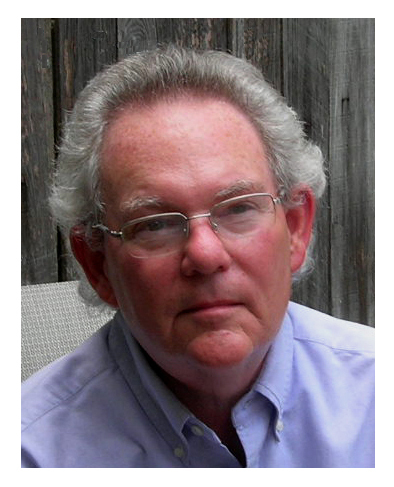 Many scientists, journalists, and other Congressmen and Senators do not believe the FBI has made a credible case against Dr. Bruce Ivins as the sole perpetrator of the 2001 anthrax attacks. Does Congressman/Congresswoman xxxxxxx believe the FBI’s assertion that Dr. Bruce Ivins is the sole perpetrator of the 2001 anthrax attacks? What will Congressman/Congresswoman xxxxxxxx do to get the Anthrax Attacks Investigation Act of 2009 passed in the Judiciary Committee and brought to the House floor for a vote … in 2009? After you contact your representative, or try to, post a comment on this blog and tell us what happened. Did you get a favorable response? Click on the link next to your member’s name; you will go directly to that member’s web site. Contact BOTH the DC office and the local district office nearest to you. Send an email, talk to a staffer, make your views known. * is the FBI’s Amerithrax case still open, and if so, why? is the FBI’s Amerithrax case still open, and if so, why? The impression which was left was that the case would soon be closed. But it seems that the FBI has not closed the case. … Perhaps we are still in the timeframe that the FBI had in mind when they said they had some things left to do. 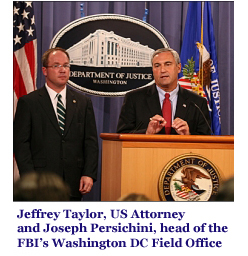 … Perhaps the skepticism and outright challenges that greeted the FBI’s August 2008 announcement convinced them to keep looking at alternate possibilities. … But others suggest that it is the FBI’s realization that once they formally close the case, they will be subject to what might be an unending flood of Freedom of Information Act (FOIA) requests for information about what they investigated and did not investigate, and how they eliminated suspects other than Dr. Ivins. To the best of my knowledge, however, the case has not yet been closed. If the Amerithrax case is in fact still open, I wonder if you could tell me the FBI’s reasons for keeping the case open, and also how many agents are currently assigned, compared to the number assigned before the August 2008 announcement. Lew Weinstein was heard this morning in an interview by Bill Becker that was available to a national audience on http://www.us1radio.com. The interview ranged over many aspects of the real anthrax case as well as the fictional scenario Lew has imagined in CASE CLOSED to explain why the FBI did not solve the case. Lew, again, I’ll try to reply in general, and more specific answers may be available when project starts this summer. I’d note that this study will be carried out no differently than any other study we do. Yes, the names and bios of those nominated to the provisional committee will be posted in our Current Projects web site and there is a 20-day public comment period on the committee makeup. As far as conflict of interest, here’s a link to our policyhttp://www.nationalacademies.org/coi/index.html. The committee will be made up of members with appropriate expertise to carry out charge. We never issue “progress reports” although we sometimes issue interim reports if those are called for in a statement of task that is approved by our governing board before the study starts; there is no interim report planned for this study. A public report will be issued by committee. We’ll let you know when committee gets posted and when first meeting will be as soon as that information is available. I’ll be on travel for a bit, so my colleage Jennifer Walsh will let you know if I’m not around. Bill. Thank you very much for your prompt reply to my questions of June 19, 2009. Along with many readers and contributors to my CASE CLOSED blog, I truly appreciate that the NAS has undertaken this difficult task, one which is vital to our understanding of what really happened in the anthrax attacks and in the ensuing FBI investigation. In fact, many are looking to the NAS as the chief hope for an impartial resolution of this now eight year old mass murder. Not many accept the FBI’s conclusion that Dr. Ivins was the sole perpetrator, at least not on the basis of the evidence thus far made known. Your answers have of course generated more questions. I want to emphasize that the skepticism expressed in these questions is not related to the NAS, which is highly respected by all, but rather to the FBI, which is generally regarded as not fully forthcoming in this whole anthrax business. NAS-FBI contract … Has NAS ever made a contract public? Will NAS consider doing so in this case? Is NAS prohibited from doing so by the provisions of the contract? Chair and Committee to perform study … Will the names and academic affiliations of the study chair and team be made public when they are appointed? Will the study team consist of a broad range of scientists from the physical sciences as well as life sciences, including chemical engineers, aerosol specialists, and analytical chemists? Chair and Committee – Conflict of interest (1) … Will employment at a Battelle-managed lab constitute a disqualifying conflict of interest? Will any scientist who works for or at a lab managed by a corporation or other party that had virulent Ames be disqualified? Will any scientist who works for or at a lab managed by a corporation or other party supplied Ames by Bruce Ivins be disqualified? Chair and Committee – Conflict of interest (2) … One commenter on this CASE CLOSED blog points to a gathering arranged by the FBI and CIA at a resort in Naples, Florida … in which he says 40 biodefense or emerging disease scientists were paid to work full-time for 30 days from mid-June and mid-July 2008. Participation in the conference was kept confidential … it may even have been classified “secret.” … an FBI scientist presented the FBI’s Amerithrax genetics findings at the gathering. The government personnel socialized with the gathered scientists throughout the 30-day period and one purpose of the conference was so that their assistance could be recruited on such matters. Under NAS conflict of interest policy, will scientists who participated in that conference be allowed? If so, will those scientists be required to disclose that participation so that it can be taken into account by the public? Coordination with FBI … What rights, if any, does the FBI have by contract to prohibit, delay or modify specific study tasks or the publication of study findings and conclusions? Is the FBI point person specified in the contract? Doesn’t NAS know who the FBI coordinator will be, or are you prohibited from releasing that information? Final Report … Will the report which is eventually released to the public be the complete report? Does the contract with the FBI allow them or anyone else to limit which portions of the report can be made public? Will all supporting findings be made public in addition to the conclusions based on those findings? Progress Reports … Has NAS issued progress reports in other studies? Is the absence of a progress report in this study the result of a specific provision of this contract with the FBI? Questions from the public … Will the study team be made available to answer the public’s and the media’s questions? Is the policy regarding public and media interaction in this study consistent with NAS policy in other studies or is it the result of specific provisions/restrictions in the contract for this study? Will NAS encourage agencies from whom it receives information to upload and make available to the public all relevant FOIA eligible documents of which NAS has become aware? Will NAS identify such relevant FOIA eligible documents, whether uploaded or not, as soon as it becomes aware of them? Many other questions were proposed by readers and contributors to the CASE CLOSED blog. These additional questions are of a scientific rather than procedural nature. It will take longer to sort through the very substantial material submitted to the blog in the past several days and to summarize specific questions for the NAS from this material, but I will communicate again with you when this has been done.